This line comes from Grey’s Anatomy, that I enjoyed watching when I was in The Netherlands. But not in French… and unfortunately here in France everything is dubbed! I had a bad night and woke up all shaky and I could not stop crying for a while. Although really I wanted to, as I hate for people (my kids for that matter) to see me like that. And I had to think about my own support group, who’s my person? Who can I count on when I am feeling down, to cheer me up? So what did I do? I set my intention for today to accept my sadness and to use it positively. As feeling the pain is what – unfortunately – brings us the most learning, and I am still clearly determined to learn and grow a lot more, and to continuously work on my mindset. I cheered up a bit after the emails coming in from my friends who had just received my Monday’s mail and the text messages I received this morning. I admitted to my friends I was not feeling very well today, and I accepted a cup of tea from a dear friend. So that makes me realize too I have still a lot of work to do in order to be able to ask for help when I need it. Like many (I guess), I wish people would just pick up on my vibes and cheer me up without me asking J. And yes, I know, I am advising you to ask for help when you need. We always say that you teach what you need to learn and I am once again the perfect example of that! And I accept my perfect imperfection and my need and I want to grow into a better version of myself! This also gives me confirmation that what I am planning to set up soon, that is regular Women’s Circles, is a good idea. It is something I feel I need and I feel I am not alone. I wish for a community of women, I wish for a place to share and to heal our wounds, for a place to help each other, understand, be compassionate of each other’s stories, wounds and paths. A place to let yourself go, shout and cry if necessary, dance and sing if you want to, a place where all is allowed and we all support each other. We are a work in progress, and as long as there is progress to make, it means we are alive! Even if it feels difficult to ask, our family and friends are there for us as we are there for them, so we should swallow our pride and ask for their help. So, who is your person? 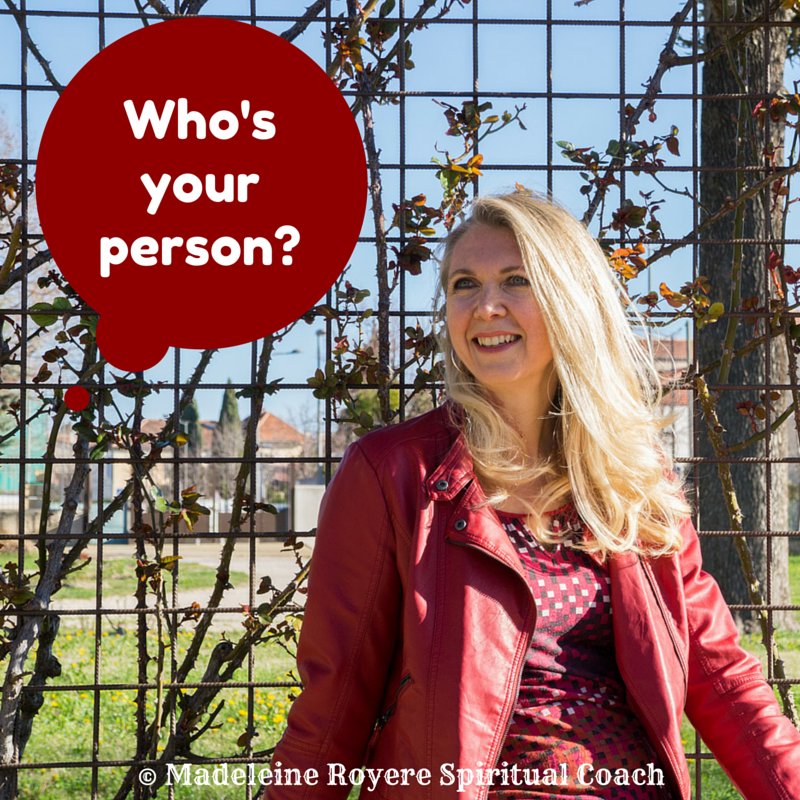 Who are your people? Let them know you love them and you are there for them! Today I writing post #26 and I have to stand still for a minute. It’s already been 6 months that I manage to consistently write every week and I want to celebrate that milestone for myself and with you! I equally want to celebrate you, my friends, my readers, who take the time to check your email and read my note every week (even if it’s not every single week, I still love you!). I want to thank you for your comments as well; they fill my heart with joy and give me more motivation to keep going. I want to thank all of you for being there for me, for our interactions, for triggering my reflections week after week. You are also my inspiration, not just my own limiting beliefs surfacing regularly 😉 and I hope you understand I am never judging any of us, simply starting a reflection process every time, and trying to give clues to move forward! I am equally grateful for all of you who answered my questionnaire and/or shared it with their friends and followers, for I now have enough replies for it to be significant. It already helped me immensely and made me add topics, update my structure, and think that I was about half way by now. I want to finish it by the end of the year (here I said it, that’s my deadline), and I know (some of) you are asking for a paper version, so that means looking for a potential publisher (one in French and one in English). So if you have any leads or tips, let me know!!! I hope you took the time to do the Be Do Have exercise last week. I made some of you do it 😉 and I continuously work on it myself, and it really makes me feel positive every time. So if you haven’t, go do it! And if you have, how are you keeping it alive? Do you journal every day like me, or do you have an action plan you are acting on? I would love to know how it is working for you! 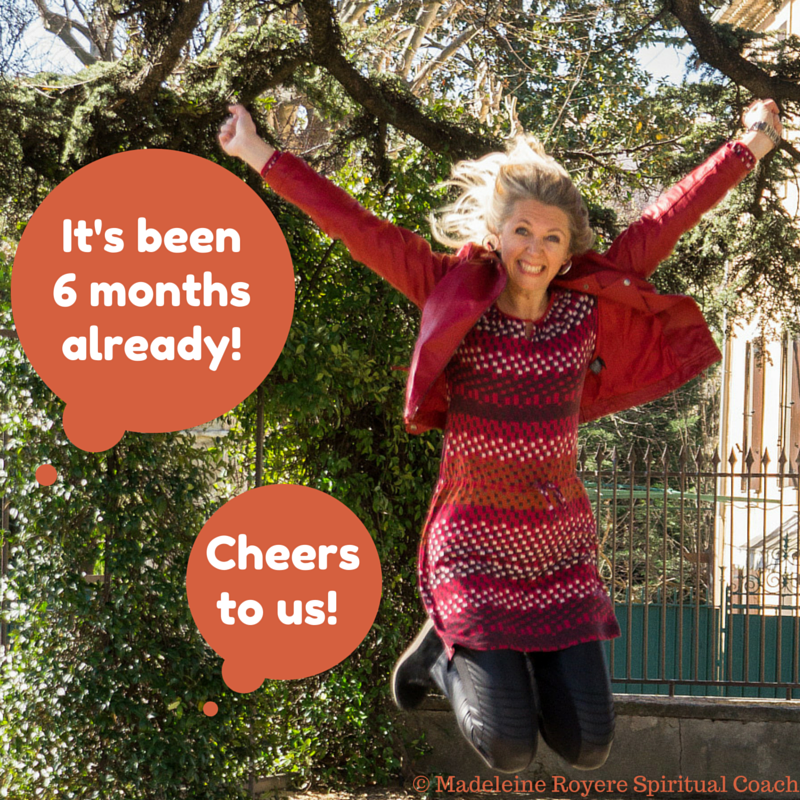 To end my little celebration, I’d love to ask you if there are topics you would like me to tackle, or to come back to! I can see clearly now…! I am not talking about a new pair of glasses (although it feels like I need one!). As entrepreneurs, we are often prompted to define who are our ideal customers, what do we want to create as a business, etc…. When working in a company, we are also prompted to think in terms of career progression, what do we want to do next etc. But it does not stop there… By now you all heard about how to manifest your desires, and how you need to feel, and project yourself into the situation where you have what you want… So, in order to get there, my last step is to journal a few minutes per day on at least one of the items on my list. I was already journaling at least 6’ a day, so I decided to journal specifically on my list instead of randomly. So I started writing about those items (randomly picked or not) and about how it feels (on the present tense of course!) to be, do or have those things I desire. Now time will tell if I can manifest my whole list within 6 months ;-), but what counts now is the enjoyment I have when I am busy with this exercise. And at the end of the day, it’s all about feeling good, right? So why not give it a try? And let me know how it works for you, OK? Just a little caveat here ;-), I know – and you do to! – that you still need to work on those desires, right? 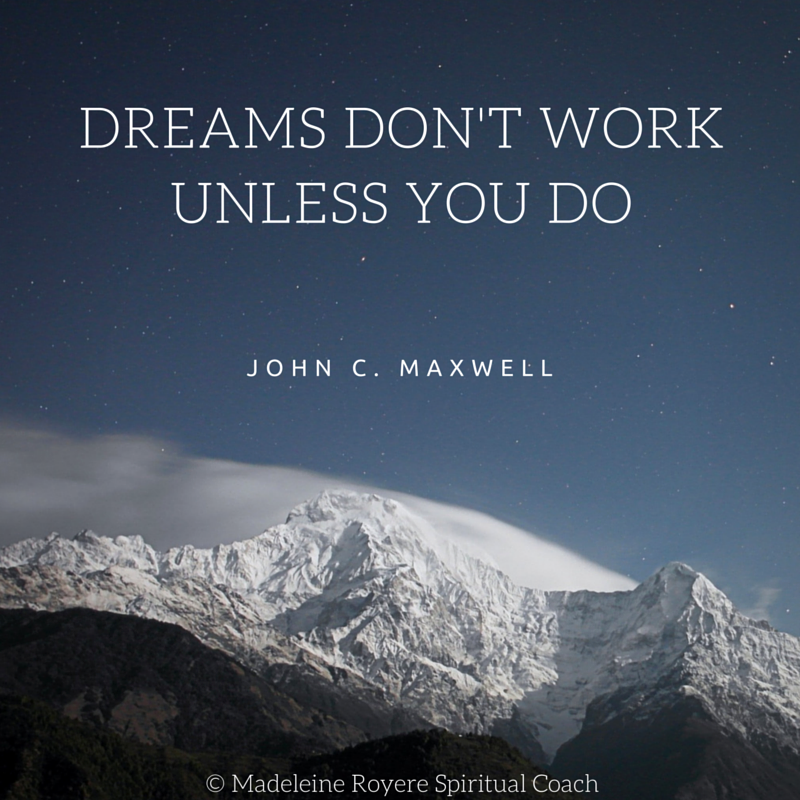 Because: Dreams don’t work unless you do! I got inspired this morning, as I was preparing for my next coaching call, with a new lady, and feeling a bit stressed about it, until I recognized my own limiting belief: ”I need to perform”. I was then able to let it go and relax into thinking: “I love meeting new people, a coaching session is always different (from the others) and kind of unpredictable anyway, I go with the flow, I am at service and my only wish is to help her as much as possible”. And then I thought about a few friends of mine, all entrepreneurs as well, procrastinating to finalise their website, or struggling with the idea of recording themselves on camera, or publishing the videos… I was wondering: do they have it too? That limiting belief? That they need to perform? Somehow, it relates to perfectionism of course… that we need to comply to certain standards before we can be happy with ourselves. But we set those standards ourselves, so can’t we lower them? Can’t we be just happy with 90% perfect? Or even 80% (if possible)? I am a big fan of “doing my best” all the time, “giving my all” to what I do, but that is different from needing to be the best in class…What I actually want is to continue to “be the best version of myself” without the need to perform! And that is by simply accepting myself and being happy with myself, just the way I am. Question for you: do you recognize the need to perform in yourself too? In which circumstances? If not, great, go on like that!!! If yes, how about using a mantra like this: “I am doing my best and I am enough”, or “I am doing the best I can and that is more than enough”. Or simply: “Today I choose to be the best version of myself”, or “I am enough”?